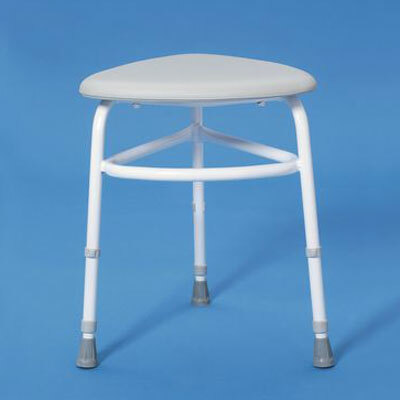 This corner shower stool fits neartly into the corner of the shower giving much more leg room than most stools. Padded vinyl seat for comfort. 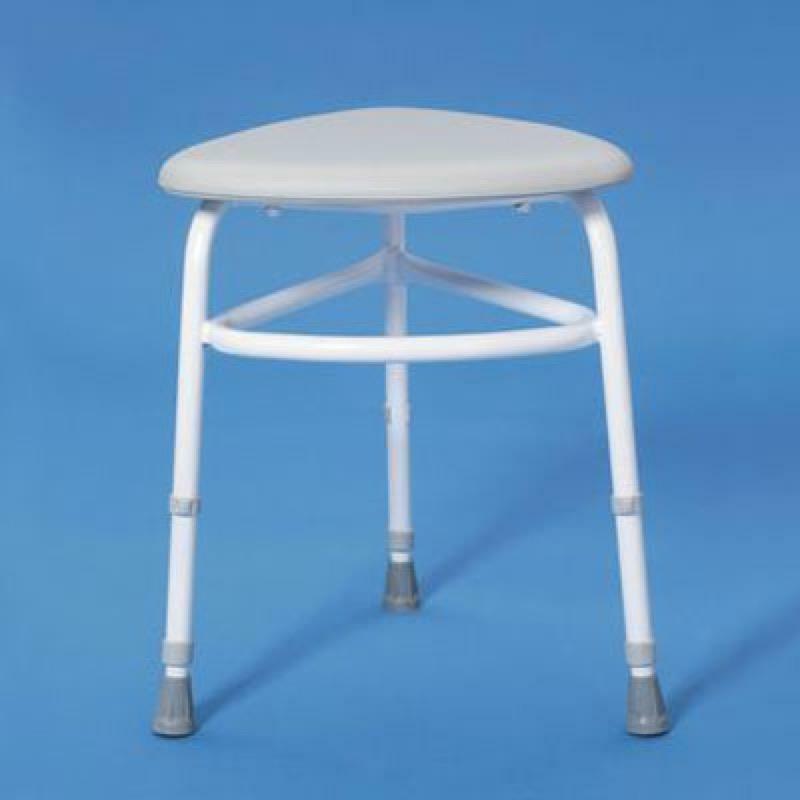 This corner shower stool fits neartly into the corner of the shower giving much more leg room than most stools. Padded vinyl seat for comfort. Height adjustable 20 to 24". Product Height Range 20 to 24"